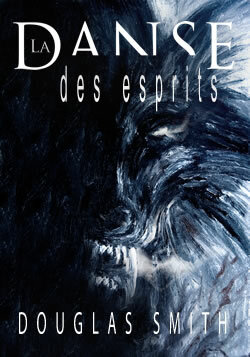 My translated collection, La Danse des Esprits (Dreampress, France, 2010), which earlier was a finalist (yeah, past tense – I lost) for France's juried Prix Masterton, was also a finalist (yeah, past tense again – I lost this one too) for another French juried award, the Prix Bob Morane. The Prix Bob Morane Award was established in 1999 by well-known French editor Marc Bailly to pay tribute to one of the most well known French fictional characters. Created in 1953 by Henri Vernes, Bob Morane first appeared in books, but then spread to comic books, television series, cartoons, and even video games. His adventures spanned multiple genres, including science fiction, fantasy, fantasy, and espionage thrillers. Although I ended up not winning either, it really was an unexpected thrill for me, an English writer, to have my collected stories nominated for two awards in the same year in another language and another country. I've blogged earlier about my new collection of fantasy short stories being translated and published in France. Well, the collection is now out, and you can check it out here on the Dreampress site. Cover art is by Daniele Sera. Thanks again to Dreampress publisher, Benoît Domis, for his interest in my stories and for making this happen. About a year ago, I blogged that Benoît Domis of DreamPress had approached me regarding publishing a collection of my fantasy stories in France. All the details have now been worked out, and I am very excited to announce that La Danse des Esprits will be published this October and will include thirteen (a good number for a fantasy collection) of my previously published stories, translated into French. Aside from the coolness of having a new collection and in another language, I am particularly excited because of the people involved with this project.